Texas A&M University Higher Education Center at McAllen. A student of ours at the Texas A&M University Higher Education Center at McAllen shared with us that he had always wanted to be an Aggie. With its rich culture and history, challenging curriculum, and world class facilities and faculty, Texas A&M is indisputably a world class institution. He studied hard, rising to the top of his high school class. He is the kind of applicant any university would love to enroll. Like so many students, however, his parents were not comfortable with their son going away to college. Another student, with a similar passion for joining the Aggie family, shared that the cost of room and board made going away to college for four years out of reach. To reduce the cost, she plans to get the first couple years under her belt, locally, before digging into her major in College Station. Both students are very gifted individuals who will make meaningful contributions to society one day. Both feared that their dream of joining the A&M family would not come true. Fortunately, for these and hundreds of other students, Texas A&M has opened the Texas A&M University Higher Education Center in McAllen. While Texas A&M has played an important role in the development of the agricultural industry in the Rio Grande Valley for over a hundred years, it has also educated many great leaders from this region. Regretfully, many students with the ability to succeed in College Station were not able to attend College Station for one reason or another. In 2017, Texas A&M admitted 1,001 students from the Rio Grande Valley to College Station. Of those, only 437 officially enrolled. Fifty-six percent of these 1,001 highly qualified students, for one reason or another, never enrolled. While some found other institutions, many did not. Thanks to the leadership of Texas A&M System Chancellor John Sharp, as well as the business and civic leadership of the Rio Grande Valley, many of those students will now have an opportunity to experience Texas A&M right here in the Valley. The rich traditions of an institution that traces its lineage to the presidency of Abraham Lincoln will now be imparted to future generations of Valley residents in our own community. year. Texas A&M will continue to maximize the number of students from the Valley who attend college in College Station. Now, however, those students who could not join their counterparts in College Station will have the option of staying close to home, saving a little money, but still becoming part of the Aggie family. These Texas A&M University Higher Education Center at McAllen students will still be challenged by the same rigorous curriculum. These students will still learn from faculty who are experts in their fields. And these students will still participate in the rich Aggie traditions, with a slight Valley flavor. These students will learn in one of Texas A&M’s most state-of-the-art facilities. 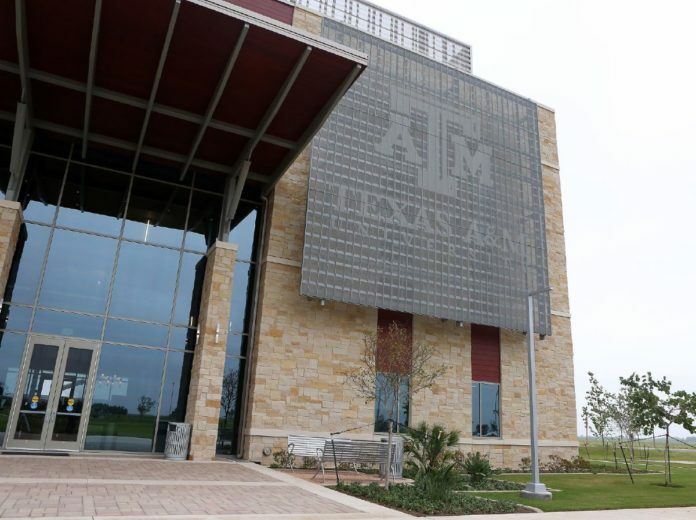 The Texas A&M University Higher Education Center at McAllen will offer 65,000 square feet of some of the most impressive modern technology that students will use in experiential, hands on-learning. The Higher Education Center at McAllen has as many classrooms as it has laboratory space. These laboratories house $60,000 3D printers, and highly precise equipment that will teach students about everything from electricity and sound waves to metal strength and animal and human biology. The millions of dollars invested in the building and the equipment for the laboratories, is indicative of the level of commitment Texas A&M has made to our community. The investment in high-tech equipment per student is truly impressive. More impressive still, these investments were made to teach undergraduate students. While other institutions would make such expenditures for graduate students, we have made these investments for our undergraduates. Years from now, after graduating thousands of college students, we will find that Texas A&M made an important mark in educating those young people who, for whatever reason, could not leave the Valley to pursue their career goals. With our other university partners in the Valley, we will make a meaningful impact in the higher education attainment levels of the community. Together we will dramatically improve the quality of life for the good people of the Rio Grande Valley. Dr. Adolfo Santos is assistant provost for the Texas A&M University Higher Education Center at McAllen.